Love the soft cream and blush shades used in these vintage romantic style weddings. 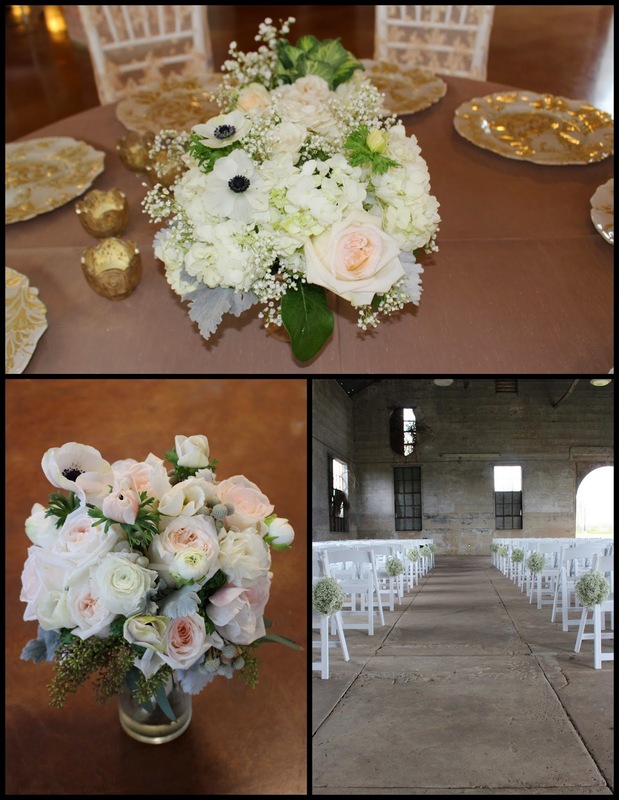 For this bride's bouquet we used blush garden roses, creamy ranunculas, anemonies, dusty miller and silver brunia. The wedding took place at Olde Dobbin Station. We decorated the aisle with babies breath pommanders and the table centerpieces had blush garden roses, anemonies, hydrangea, babies breath and dusty miller. We have a table scape here for the huge King's table for an intimate wedding reception at The Club at Carlton Woods. 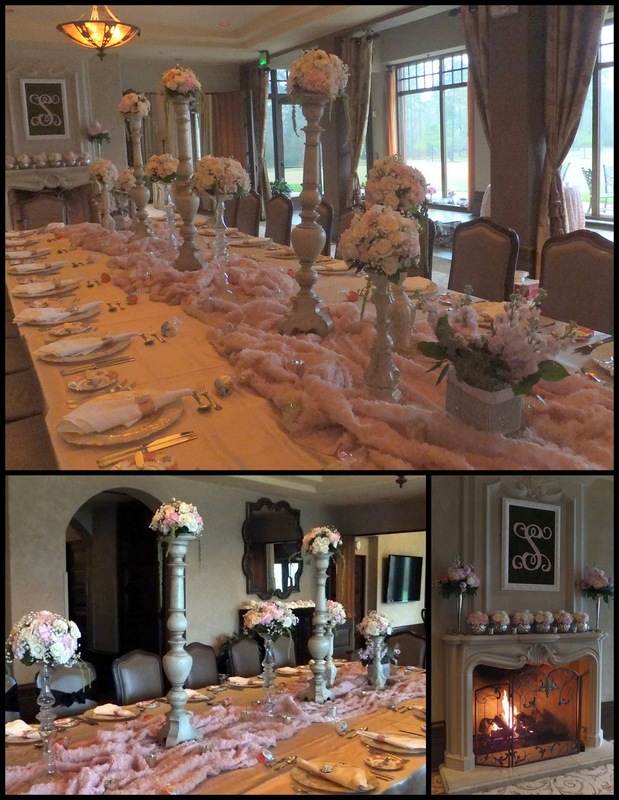 Soft pinks and ivories were chosen to fill the various candle holders and vases provided by the bride.